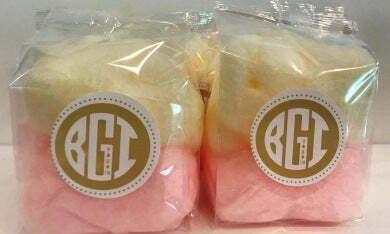 Prepackaged Gourmet Cotton Candy Favors, Custom Flavors Made Fresh, Delivered Fresh! Spinn Candy is a specialty producer of gourmet cotton candy perfect for nyc weddings, bar mitzvahs and product promotions and can be ordered in custom flavors with personalized labels. We guarantee your cotton candy packages will be delivered 100% fresh to all US locations. Please call us for fast turnaround, bulk order pricing and private label branding. ﻿We sell custom prepackaged and bulk cotton candy for catered events. Our unique ﻿Starting Your Own Cotton Candy Business ﻿program has been developed for people interested in owning a small but highly profitable business. ﻿Call for detailed information, 908.291.8190 or email tim@spinncandy.com. 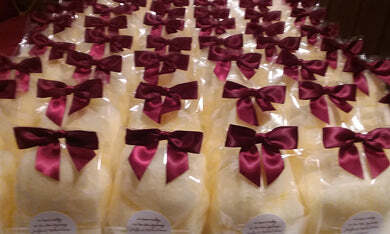 Custom Cotton Candy Combo with Label for Product Promotion. 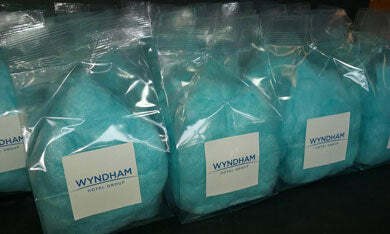 Blue Raspberry cotton candy packages with corporate logo for board meeting. 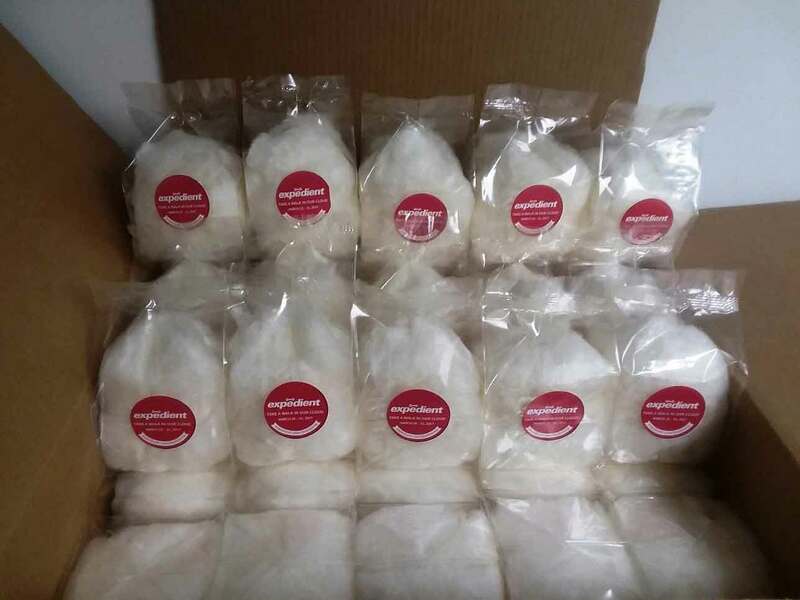 Bulk Cotton Candy for Brand Promotion. "I just recently worked with Spinn Candy and what an amazing experience I had. From incredible cotton candy to the impeccable service. If you are looking for the best cotton candy with friendly and reliable service Spinn Candy is your place. I look forward to the next order." "The wedding was spectacular and you are correct your cotton candy is wicked good. It is unbearably fresh and sweet and irresistible and good looking too. Thanks so much. I will recommend you everywhere. Great product and great service. A total 10!" "I had the pleasure of working with Spinn Candy for a trade show we attended in Washington DC. Spinn Candy was able to provide the perfect cotton candy treat for our attendees. The colors were exactly what we asked for and the flavors were delicious. The cotton candy bags arrived on time and lasted throughout the entire show. We definitely will be back for more."